Earlier this year, many of us were surprised to discover that Hard Rock, the company behind the Hard Rock Cafe chain, decided to sell its Vegas hotel and casino to Virgin. Virgin Group head Richard Branson announced the takeover in a press conference last March and claimed that the resort will be rebranded as a Virgin property by the end of 2019. Great news for Virgin, without a doubt, but why would Hard Rock pass on an income stream in the gambling capital of the known universe? It looks like the company may have ditched its premises as part of a pivot toward iGaming, as reported by casinos.co, that would let it keep a foothold in Nevada’s gaming industry without having to own and operate any real estate. Rather than engaging in a struggle to keep up with the costs of operating a large resort in one of the most expensive property markets on the planet, Hard Rock has moved to a new focus on digital. That’s not a nationwide direction – the Seminole, Florida Hard Rock casino is still very much here to stay, with new construction recently announced, and the Atlantic City Hard Rock is now open. But for Vegas at least, it looks like Hard Rock has decided to go online. It’s hard to say. Hard Rock Online hasn’t launched yet, but we do have some preview information – and some blatant speculation. First, what will the casino be built on? Hard Rock partnered with the Gambling Innovation Group to develop its software, representing GIG’s first venture stateside from its predominantly European base. Will there be one? Many mobile users prefer native apps to the mobile web, so without one the appeal of Hard Rock’s new venture may be limited. We can expect Hard Rock to hit the ground running with an app for iOS and Android. We’ll be looking for an easy user interface and the main spectrum of online games – slots, table games and video poker as well as regular updates from partners. Again, since we have no information and the folks at Hard Rock are keeping their cards close to their chests, we can only speculate. But the chances seem good that the Hard Rock online casino will launch with significant first-deposit and no-deposit bonuses as well as syndicating bonuses out among other, more established players and portals to try to gain traction quickly. All this is only one side of the coin. 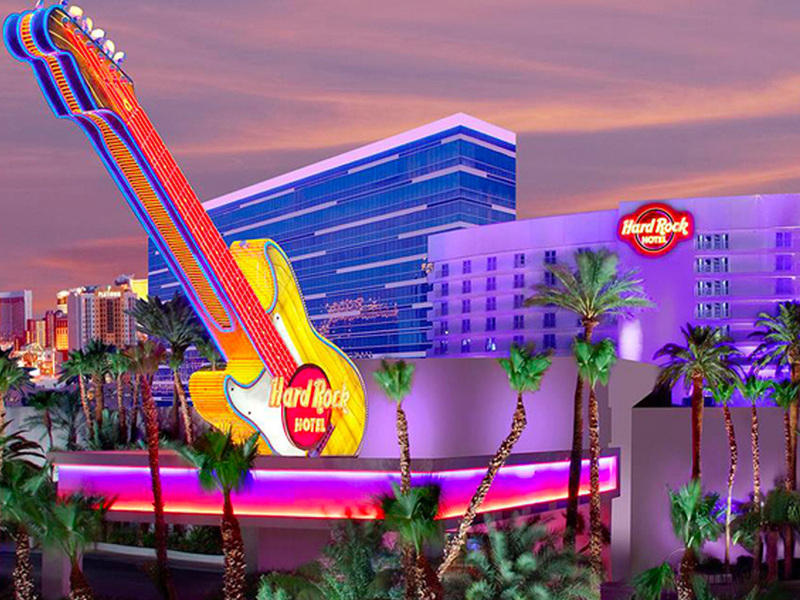 Hard Rock isn’t going digital completely any more than it’s staying a land-only business. It’s too mature a business to operate based on how it reaches its customers. Instead, it’s looking for where its customers are. In lower-cost areas than Vegas, Hard Rock’s land casinos represent significant income and ROI – but the opportunity represented by digital may be too great to ignore. Hard Rock’s shift isn’t just to a new channel but to a new, expanding customer base. In the near future, that customer base could be set to expand even further. The U.S. federal laws that sanction online gambling are increasingly complicated to interpret. Especially where the state and local levels intersect. That could be about to change. Last year saw Pennsylvania join three other US states – Nevada (of course! ), New Jersey and Delaware – in legalizing and regulating online gambling. The state sent out a notification that it would begin accepting applications for licenses beginning April 2 this year. A ramp-up that fast could benefit extant gambling-business players who can build their iGaming business right out of their land casino business. Was that the reason for Hard Rock selling their Vegas land casino? With online gambling legal in Nevada already, it could be a smart regional move that paves the way for nationwide success if the whole country swings over to pro-iGaming laws. **This is a sponsored post by casinos.co. Views, thoughts and opinions expressed in the text belong solely to the author, and not necessarily to Vegas.com.